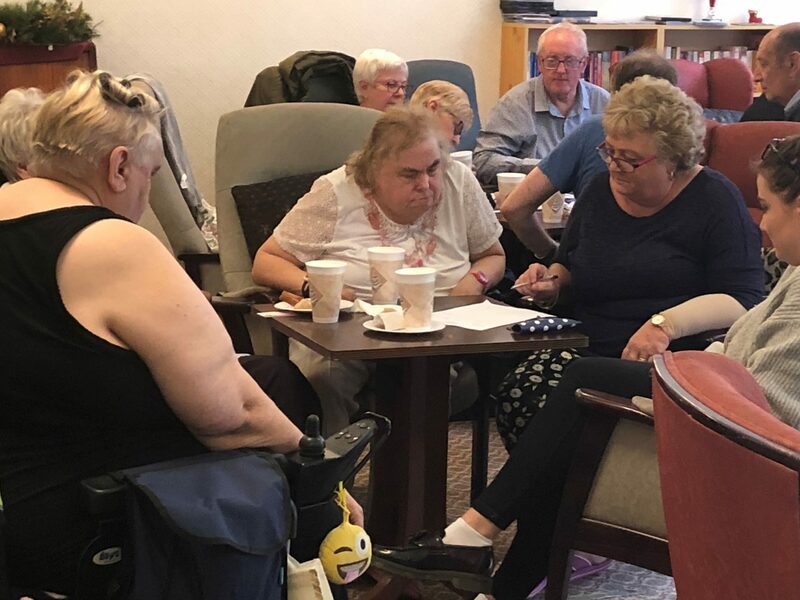 Fun and friendship was the name of the game at Pant y Celyn this week when the Reality Theatre descended en masse to our largest older person’s housing complex in Newport, to host an afternoon of activities and launch their programme of events. Transport, or ‘the party bus’, as aptly named by the residents, picked residents up from schemes across Newport, including Treberth, Trinity Court and Gaer, en route to their eventual destination, with the collective mission to have a jolly good time! The event was organised by the Reality Theatre; who were allocated £20,000 in round one of the Pobl Trust funding earlier this year. The aim being to bring together older people in a fun and informal environment, where they can socialise, create friendships and importantly combat isolation. 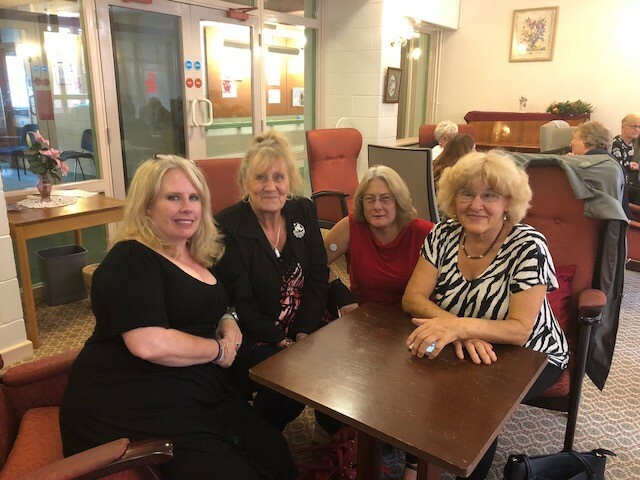 Over 30 residents enjoyed an afternoon of singing and dancing to music ranging from legendary crooners Louis Armstrong and Frank Sinatra to the gravelly tones of Bob Dylan. Followed by a buffet and rather competitive music quiz – mobile app Shazam even had to be used, to settle a friendly disagreement amongst residents! All residents are encouraged to ‘have a voice’ and be part of the committee, co-ordinated by Reality Theatre, to help plan and organise events and activities that the residents enjoy and will look forward to it. Plans for a Halloween party are already underway, closely followed by a Christmas pantomime, where partners in crime Pat and Carol have already put themselves forward as the ugly sisters! Famous Five are going to Cardiff!